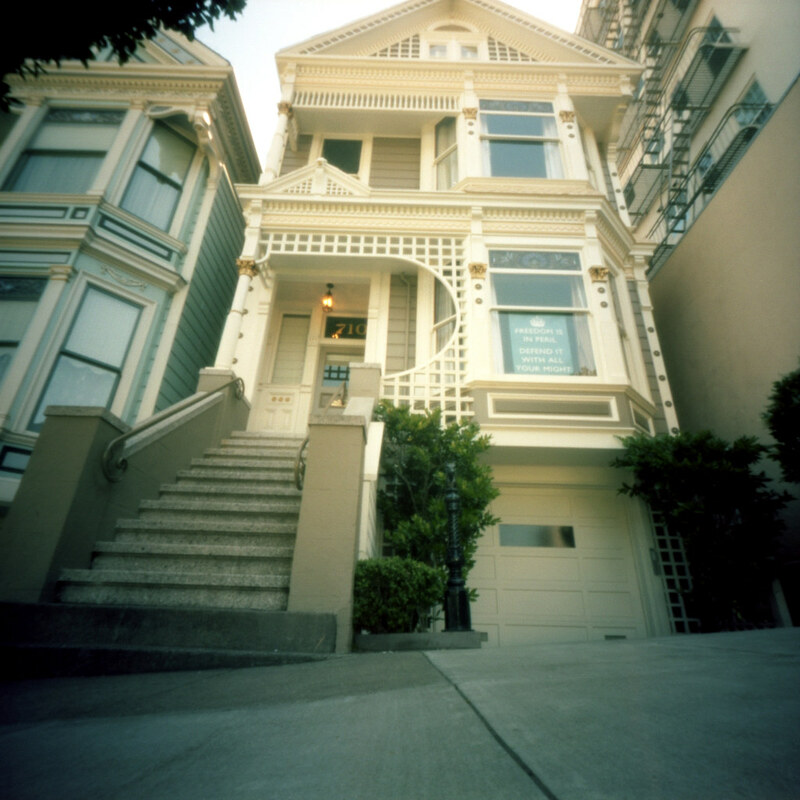 So pinholeday! I need to share my photos with you. I shot a couple of rolls of film and really liked a lot of what was on the roll. I was super thrilled that they came out because I developed them myself and I’m still a little uneasy about developing c-41. 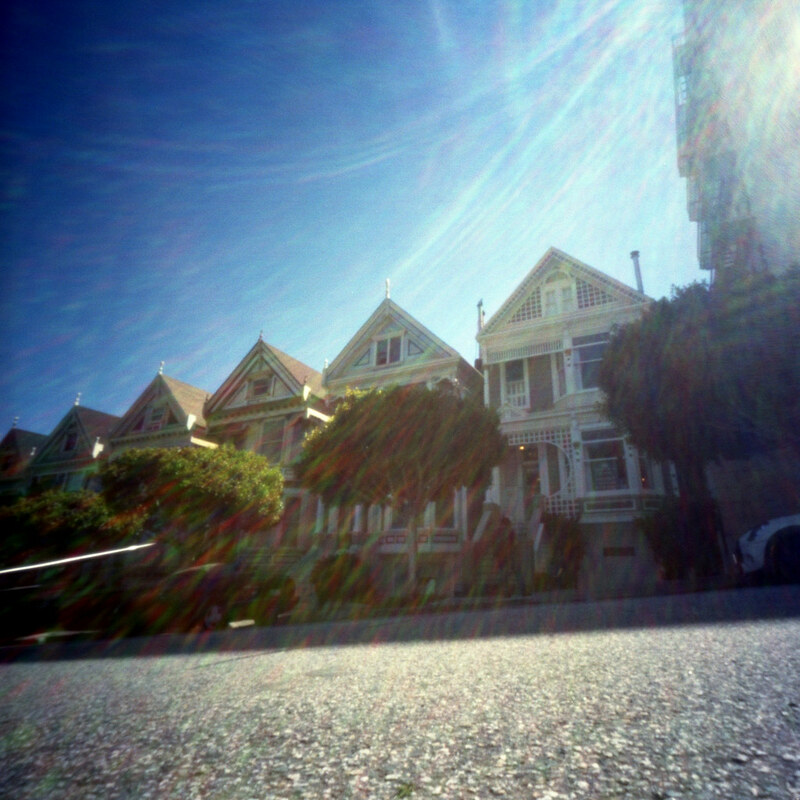 Here are a couple of shots of the Painted Ladies. I really am happy with how these came out. I was a bit worried about the composition because the park across the street was closed and that is generally where people stand to get the famous shot of them. But with the magic of pinhole the cars driving by disappeared and the wide angle helped me get a unique shot right up close. I was practically standing on the steps for the second shot! Really like these, the rainbow effect in the flare is great.